The Sears Stratford was sold from 1930 -1933. 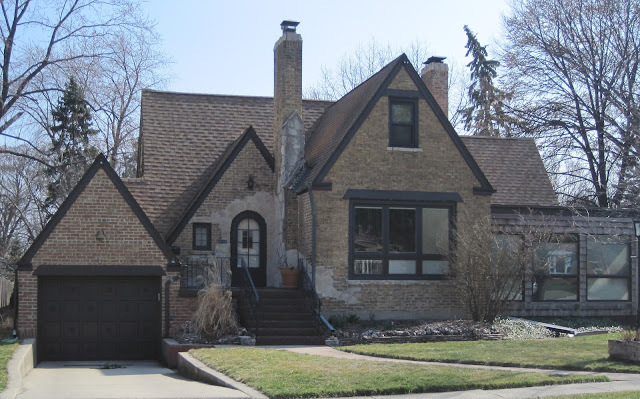 The Mount Prospect Historical Society says the house was built in 1925, but I do not know what documentation they have that supports that date. This house is a dead ringer for the Sears Stratford. 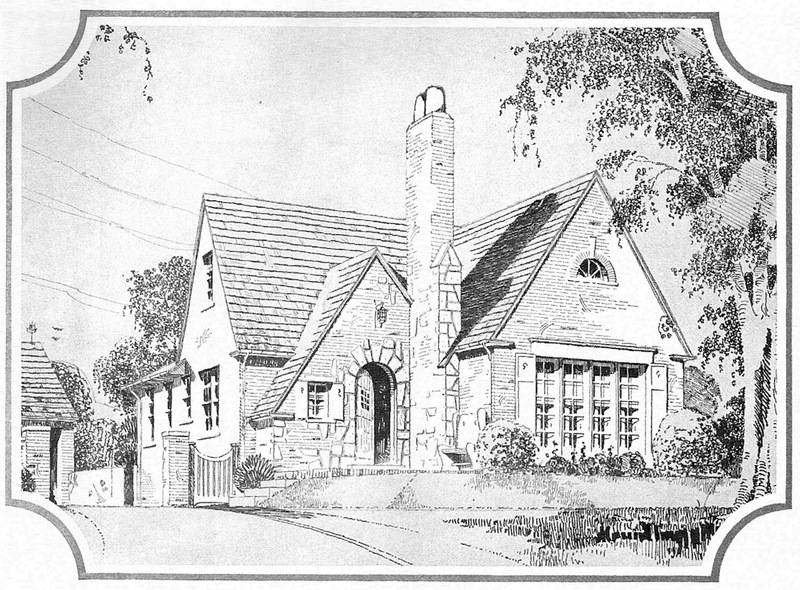 In fact, the Sears Modern Homes catalog of 1930 showed a customized Sears Stratford with attached garage that was built in Ohio. Does this look familiar? Custom Sears Stratford in Ohio from the 1930 Modern Homes catalog. The garage was likely built during the initial construction, probably modeled after the custom house in Ohio. The architect of the Sears Stratford was David S. Betcone. The house has a standard Sears front door. It has the brick and stone chimney that looks identical to that in the catalog picture. It originally had two bedrooms just as the Stratford has. It has the two recessed, built-in bookcases in the living room, just as the Stratford has. The house also has some features that were unique for that era. 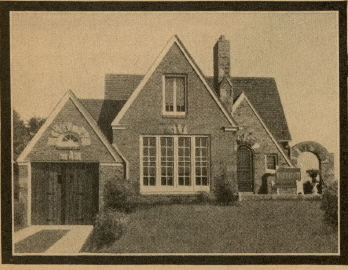 According to the Mount Prospect Historical Society, the home was built by William H. and Goldie Ladervicz. In 1945, the house was sold to Joseph E. LeFevre who was responsible for building the two additions (one off the side and one off the back). The house sits on a double lot so he had some room to work with. Doing all the work himself, LeFevre added a new dining room, sun porch (now a family room), and covered patio. He enlarged the kitchen and master bedroom. LeFevre also expanded the basement with features that are in demand today. It had a wine cellar, recreation room, projection room (in 1949?! ), bar, second kitchen, and full bath. But the pièce de résistance was an indoor firing range for target practice! The range was housed in the crawlspace underneath the dining room addition. Around 1959 the LeFevres moved to Palatine and I'm not sure of the chain of ownership after that time.